I posted last week on Facebook a sneak peak of my daughter’s birthday party. My daughter is very much into the princess. Her favorite of the day always changes but the all time favorites are: Rapunzel, Cinderella, and Ariel. So I wasn’t surprises when asked she wanted a Rapunzel party. As soon as she said that I went on a hunt for everything “Tangled”. After weeks of preparations, we celebrated Madison’s birthday with a “Tangled” Party. There are so many great ideas out there for a “Tangled” party but due to budget restrain and location we had to keep it simple. Of course it’s all about DIY when it came to the party and believe it or not everything that I had planned didn’t make it into the party due to time restrain. She read the kids a story. She played games with them. She took photos with the kids. She sang “Happy Birthday” to Madison. * The banners were done by me. Very easy to do but very time consuming. I used construction paper instead of printing a template from my computer. I love how they turned out. 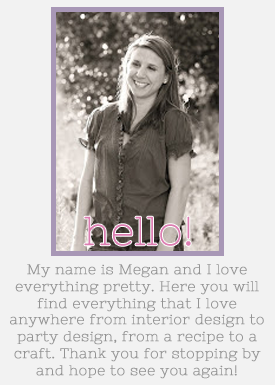 * My husband built the wooden boxes. They were so easy to do and we had four of them done in two days, that’s including the staining and sealing. The flowers on top are made from paper napkins. * Since the party was later in the day, I made sure that I had plenty of healthy food to eat (not photographed) and kept the dessert table to a minimum. * Since I knew that Rapunzel was coming to the party (a huge hit with the kids by the way), I kept the party favors to a minimum as well: a bucket filled with crayons in a cute packaging, a diy coloring/activity book, an artist palette cookie. My daughter started preschool yesterday. At first she did great but by the time I can back (an hour later) she was frantically crying in the play yard by herself with no teacher to sooth her. Poor girl was running frantic calling for me so hard, it makes me cry even thinking about now. There was something about her teachers that rubbed me the wrong way so I made the rational decision and right then and there I pulled her out of the school. That’s one decision that I am not regretting at all. Since I pulled her out of the preschool, and while trying to find a different preschool, I enrolled my daughter into a few activities that I know that she would love. One of them is her favorite: painting. Every week we will paint something new and I would love to be able to showcase it. After all she is my little artist, right! 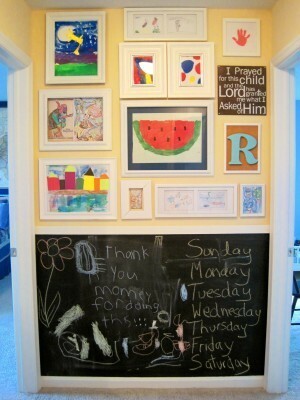 While I figure out the best way to showcase her artwork at our house I wanted to see what other people in bloggy world have set up for their kids. It’s amazing all the different ways that it can be done! I really love where you can easily interchange them and of course frame the favorite ones. One tip I would give any parent is scan or take a photo of the kids artwork and recycle it after a certain period of time. Keep the ones that you truly love in a binder to show the kids later in the years. With the ones you had taken a photo of you can print them in a photo book for them to flip through. 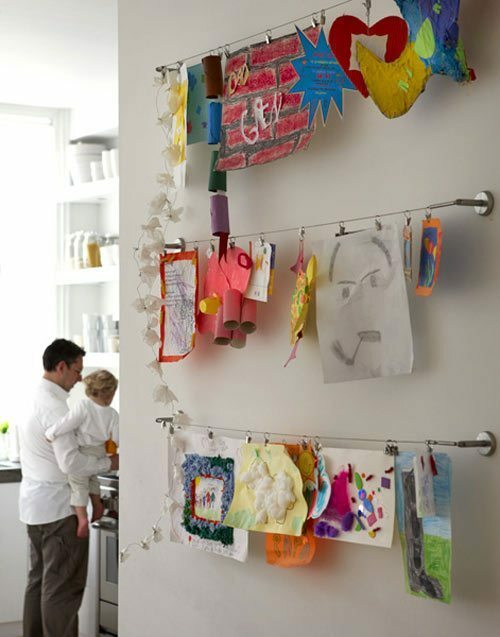 Do you have a special way of showcasing your kids artwork?